Ask An MD: Happy Doctors Day, Fools! Happy Fools Day! Which also happens to be Doctor's Day. Actually the official Doctor's Day is on March 30th, but such an obscure holiday usually gets forgotten, so it's about April 1st by the time the nurses or hospital administrators get around to handing me a card. "Um, yeah so it's like Doctor's Day so here's a card and stuff," they say as Doctor D suspiciously takes the generic thank-you card expecting to be ridiculed for some sort of foolishness momentarily. 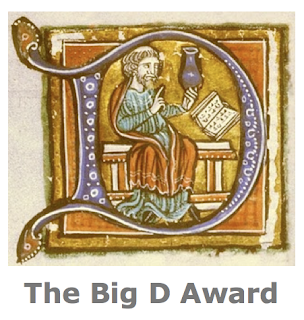 The ironic serendipity of Doctor's being honored on April Fools Day is just the sort of thing that makes me miss this blog, where I may freely ridicule the health profession. A day for doctors, seriously? That makes about as much sense as National Goat Cheese Month! Apparently the date was chosen based on the first date an MD knocked a patient unconscious. If that isn't a day to celebrate, what is? While doctors love thankful patients and adoring nurses, we would rather not celebrate doctor's day. We seriously don't need a holiday. A day off maybe, but not a holiday. Of course, a holiday can serve to increase awareness—in case anybody is unaware of doctors. 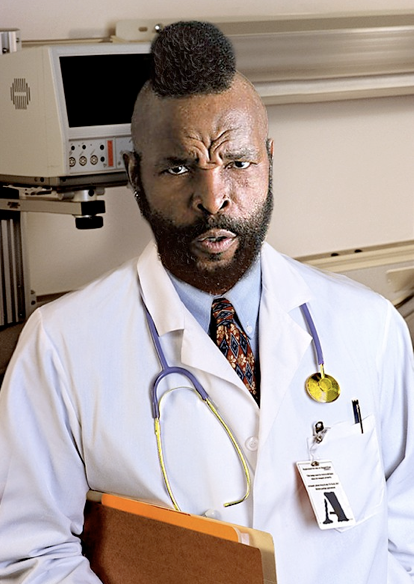 I pity the fool who is unaware that Doctor D is back! I shall return on Monday with an answer to an interesting question! Until then discuss amongst yourselves: What is the best way to celebrate National Goat Cheese Month? I think the main reason nurses like to celebrate Doctors Day is because it gives us an excuse to eat lots of junk food at work. At least, that's the reason I enjoyed it! And, well, I guess doctors are okay too. This is great! I'm waiting for National Technical Writer's Day. Whoot! Thanks everybody! You make me feel special. How NOT To Thank A Doctor! How Should I Thank My Doctor? The Cure For Doctor Addiction!